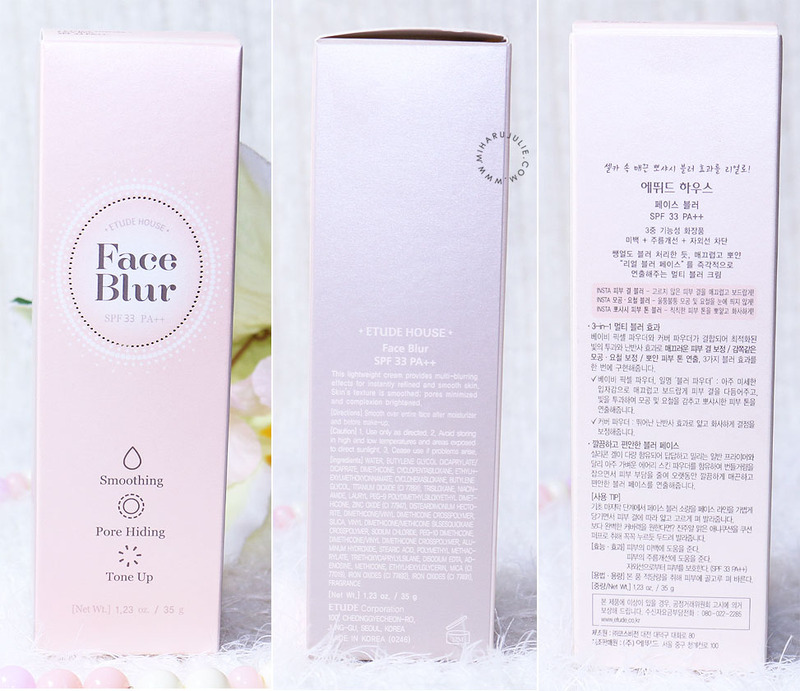 Etude House Beauty Shot Face Blur is one of the popular Korean makeup base/primers. The Face Blur functions sort of like a cross between a primer and a sort of light foundation, and according to the Etude House English website it is a "lightweight cream" with "multi-blurring effects for instantly refined and smooth skin" for a "3-in-1 multi filter effect like adjusting light on skin". It even has SPF15/PA+ sun protection to boot! Sounds great, huh? - This lightweight cream provides multi-filtering effects for instantly refined and smooth skin. - The texture is smooth but it minimizes pores and brighten complexion. - Softening skin layer like filter effect to give smooth and even skin layer. 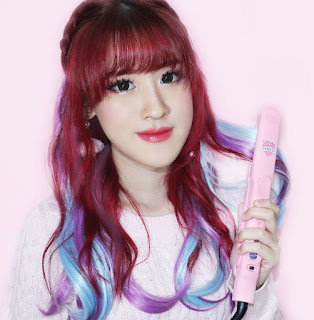 - Baby pixel powder and cover powder compounds give 3-in-1 multi filter effect like adjusting light on skin. Korea Cosmetics always have a cute and useful packaging. It comes in plastic pump bottle which is very hygienic for a base makeup. You only pump one time and then you get enough product for one use. The packaging is very light so it won't be heavy to transport. 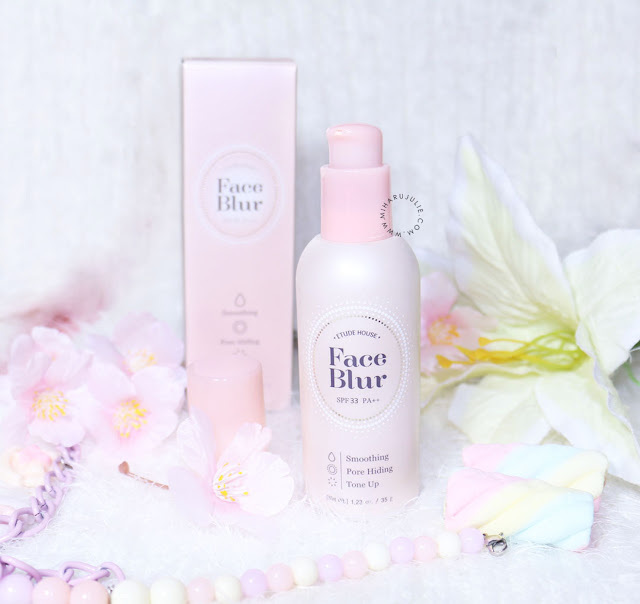 The Face Blur itself is a lightweight, peach-pinkish cream, and that is neither too watery nor too thick, that spreads easily,. The product also has a some shimmer but The shimmer isn't too overt. It provides light hydration but it sets to more of a semi-satin finish that works beautifully well as a base for foundation and BB Cream. It covers small pores but does not quite cover larger pores and any blemishes totally. The product came out in one colour, so at first I was a bit nervous if the tone will fit to my skin. But the cream is really light and easy to blend so I think this can fit to many skin tones. 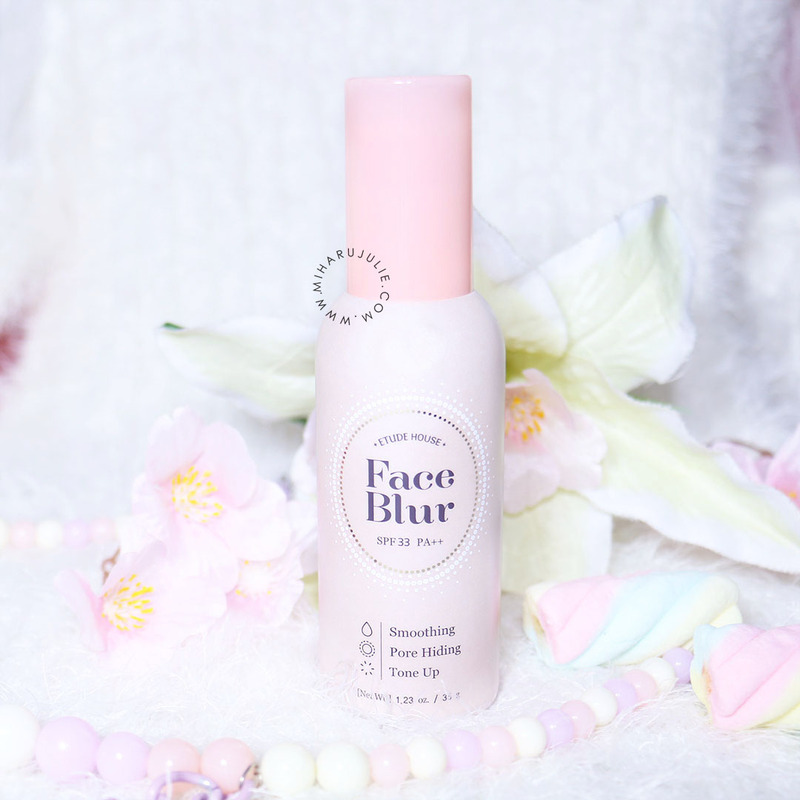 For me, I found the Etude House Beauty Shot Face Blur to work quite well either as a primer, or by itself as a base product. 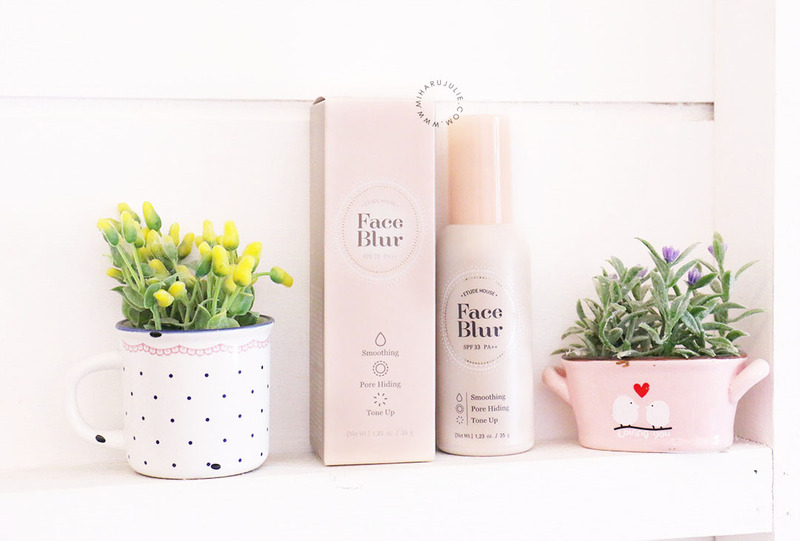 When used all over the face, it does generally help to improve the appearance of my skin, making it look brighter in subtle way. My pores are huge so I bet this will work amazing on my skin! 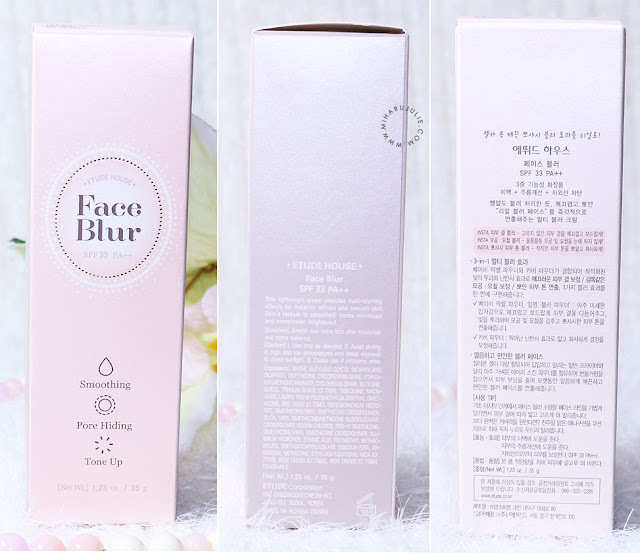 dari dulu emang pengen bgt nyoba produk2nya etude.. karna selain packaging nya yg super cute byk yg blg oke jg.. tp pernah nyoba skincare nya gak cocok.. klo produk ini bs untuk kulit sensitive gak ya?? Dari dulu pengen banget punya produk yang bisa nyamarin pori2nih haha, wishlist! 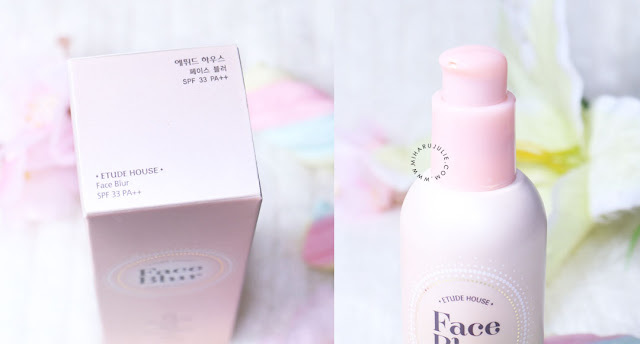 Ini termasuk wishlist ku Etude House Beauty Shot Face Blur , blm ksmpean juga mau coba 😂😂😂 Syediiiihhh..
packagingan imut dan praktis lagi..